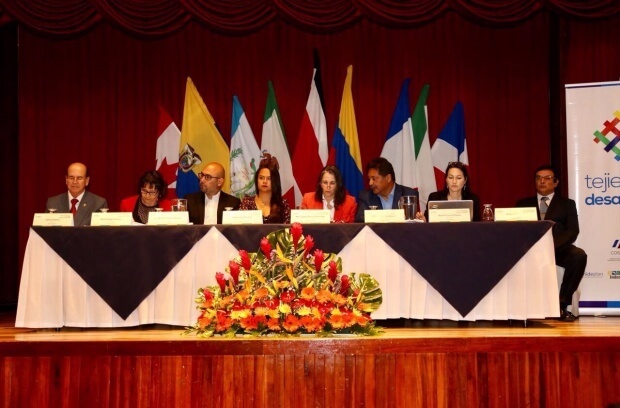 Between April 18th and 19th, the Mesoamerican and Caribbean Forum “Solidarity Finance: an instrument for development” was held in San José, Costa Rica, with the participation of 300 representatives from different sectors of from American and European associations, academia and public institutions. Among the objectives of the forum was to analyze the design of public policy, inclusive economic and financial legislation and to share experiences between organizations in financial innovation that allow greater accessibility to financial resources and accompanying processes for investment. This event was co-organized with the First Lady of Costa Rica who represents the country in the International Pilot Group of the Social Solidarity Economy (GPIESS), the Ministry of Economy, Industrial and Commerce, the Ministry of Labor and Social Security with the vice-minister Of Solidary Social Economy that is attached to it, the National Chamber of Social Solidarity Economy and the University of Costa Rica. It was financed with contributions from national public banking, financial organizations of ESS and the Central American Bank for Economic Integration. 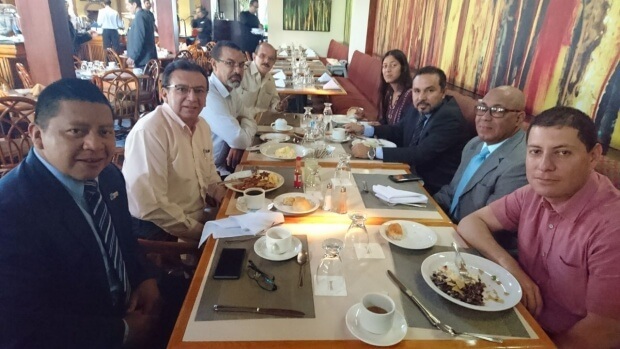 During the forum, experiences in specialized financial regulation and support to the ESS organizations of the corresponding institutions in Ecuador and Colombia were shared. Also experiences of financial innovation from Ethical Banking in Italy, La NEF in France, FINSA in the Dominican Republic, various actors in Costa Rica, and the Solidarity funds of Mexico. There were also initiatives for the coordination of financial actors and ESS at the national and regional level, such as Redcom-Camif network, INAISE and the International Pilot Group of the Social Solidarity Economy represented by ESS-FI. The Costa Rican government has committed itself to the promotion of Solidarity Social Economy and solidarity finance, seeing them as practices that allow the dynamization of economies, reduce socioeconomic inequalities and unemployment, and understand that progress must be made in internal public policy, but also influence regional and extra-regional actors to generate contexts that allow the development of these practices and their impact on the sustainable development of countries. This forum provides inputs for the work of the GPIESS Finance Task Force for ESS. The University of Costa Rica is committed from the Social Solidarity Economy Development Program to accompany processes of reflection and construction of proposals based on intersectoral dialogue for the creation of mechanisms for financial inclusion from the solidary public and private sectors for these populations, recognizing the impact that democratic productive associations have on equitable development and the generation of productive partner fabric in the territories. The statement also calls for “Focus on the authorities of central banks and bodies responsible for the prudential supervision of the financial sector, with the purpose of formulating and implementing specialized supervision schemes, that without endangering good financial management practices, make it possible to increase the financial inclusion of those populations, productive sectors and territories neglected by the formal financial sector “. For the different co-organizers, this forum is considered both nationally and internationally as an important step to articulate efforts and commitments for the development of Solidary Social Economy and Solidarity Finance. There remain networks of actors with specific tasks to continue to influence the region on these issues.